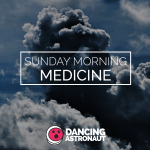 Lido‘s rendition of Bill Withers’s timeless ballad, “Ain’t No Sunshine” is a warm brush with daylight you won’t dare deplore—no matter how nasty the hangover this Sunday. The Norwegian experimentalist’s raindrop plucks and redemptive synth stabs effortlessly usher in residual weekend splendor. This wavy Beach House B-side is a Sunday morning must. Victoria Legrand is here to sagely remind us to find “perfection in the accident,” with hazy, rolling chord progression and vapory vocals for the ultimate Sunday subterfuge. This velvety Future Classic Chrome Sparks offering, “The Meaning Of Love” is a like quixotic trip through the most delicious technicolor clouds. Sparks’s cosmic analog synths furrow and float atop lush, deliberate percussion as our worries of the week begin to dissipate. The sultan of sampling, aka Pretty Lights, has the sublime synth loops to rectify your most raucous inner voices. Borrowing from a sultry ’70s soul track from La’Fez, Pretty Lights conceives a celestial requiem for your weekend. From their most recent album, Phantogram‘s “Cruel World” is the ideal vessel for vanquishing Sunday stress of the most pesky existential variety. As the band’s frontwoman, Sarah Barthel, so starkly points out, life can be quite cacophonous; but with a spectral duo like them around, your Sunday playlist doesn’t have to be.